Christmas is just around the corner, and with it comes the stress of finding the perfect gift for everyone on your list. 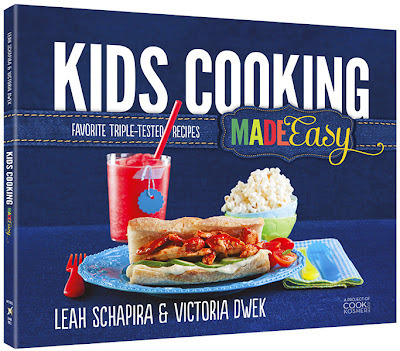 Well, if you are trying to find a gift for young cooking enthusiasts, this new book called Kids Cooking Made Easy from Leah Schapira and Victoria Dwek is what you're looking for! 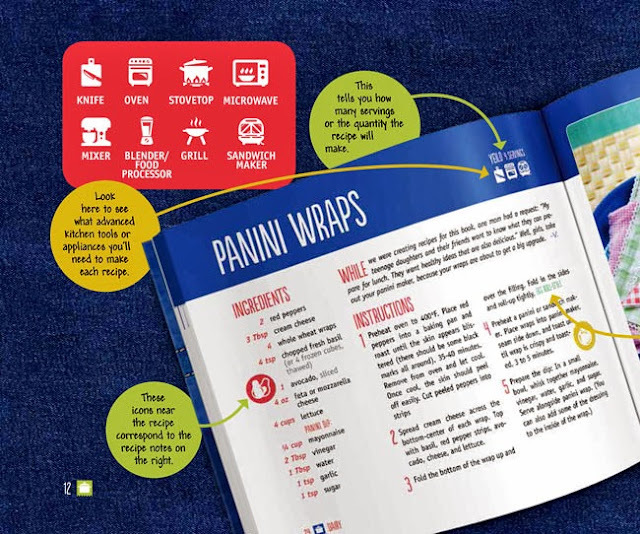 Kids Cooking Made Easy, the latest cookbook in the popular “Made Easy Series” has 60 easy-to-make recipes including kids' all-time favorite Panini Wraps, Hot Dog Garlic Knots, Pizza, Spinach Quesadillas, Chicken Nuggets, Pancake Sandwiches, and a lot more! The young cooks will surely love how simple the instructions in this book are! Every recipe has a finished photo, additional step-by-step photos and "Cooking School" tips to teach young cooks many new techniques, like how to marinate, simmer or sauté and terms like breading, stiff peaks, egg wash, etc. The perfect gift for the holidays, Kids Cooking Made Easy will have kids in the kitchen having fun creating yummy meals, snacks and desserts for the family, and of course, enjoy eating the fabulous food they make. The best thing about this book is that it provides the necessary information for young cooks to succeed with the recipe, while at the same time teaching them important kitchen skills. My youngest daughter, Cherlin likes this book so much! She has been enjoying reading it and has a bunch of recipes she would like to try like this Spinach Quesadilla, Banana Sundae Cake and Peanut Butter Pizzelle Cake! We'll definitely be spending a lot of quality time together making all these during the Christmas break! I really think this book is a must have not just for the little chefs, but also for anyone with kids or anyone who cook for kids! From the very nice layout, the full color pictures to the delicious recipes and helpful tips, this book is a great buy! Guess what, it's only $11.77 at Amazon right now, so hurry! Nice idea. Hope you're having a great week!